SPOILER ALERT: The following contains plot spoilers for the Netflix television series, Black Mirror. “Men Against Fire” begins with the introduction of Stripe, a young man decked in army gear who, among other soldiers, is tasked with a “roach-hunt.” The soldiers are situated in a foreign land (possibly Denmark, as the “civilians” all speak Danish) and are attempting to help the locals with a recent “roach” invasion. As the team gathers information about the roaches’ whereabouts, they plug data into their MASS systems, a device that allows the soldiers to actively manipulate maps, data files, and local information on a projected screen in front of their eyes. 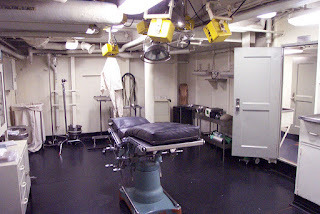 An image of an American arm sick bay. Stripe and the other soldiers get a lead about a pack of roaches hiding at a ranch nearby. They immediately raid the location, discovering three roaches (revealed to be blank, zombie-like inhuman animals that screech, claw, and howl); Stripe manages to kill two of them, one with his gun and the other with his bare hands. The next day, Stripe observes momentary glitches in his MASS technology, so he visits a medical examiner at the army base’s sick bay. After a full exam, no signs of errors are observed, and Stripe is sent home. The team, including Stripe’s new friend Raiman (“Rai”), embarks on yet another roach hunt the following morning; this time, Stripe is immediately aware of his MASS implant’s insufficiency, as he is now able to smell the grass around him (MASS strips the soldiers of some of their senses). Still, he trudges on and joins the group as they raid an abandoned building. When there, Stripe sees a group of civilians—all of whom Rai guns down and shoots. Shocked, Stripe attacks Rai, shouting at her with four words: “What did you do?” He knocks Rai out with his gun and helps the other two civilians (a mother and her son) escape. Once in a safe shelter, Stripe is confronted by the civilian, Catarina, who explains that the MASS implants trick the soldiers into seeing humans as roaches. As she completes her declamation, Rai comes in and shoots Catarina and her son. Stripe is then sent to the psychiatric ward of the army base. When there, Stripe is visibly in shock, rocking back and forth and whispering, “the whole thing is a lie.” The doctor appears and tries to explain the situation to Stripe, claiming that the MASS and the roaches have a purpose. “Do you have any idea… [what is] in their DNA?” the doctor shouts. “Higher rates of cancer, muscular dystrophy, MS, SLS, substandard IQ. Criminal tendencies, sexual deviances, it’s all there. The screening shows it… and it’s a lot easier to pull the trigger [on the enemy] when you’re aiming at the Boogeyman, hm?” He then tortures Stripe into a whimpering mess, forcing him to re-watch his own kills—this time unmasking the roaches and depicting them as the human beings that they are. At the end of the episode, Stripe is shown in front of a bright, welcoming home; an alluring woman approaches him warmly, although she (and the home) is likely a figment of his (now functioning) neural device. He is smiling at the world in front of him, but a tear visibly rolls down his cheek. “Men Against Fire” questions the murky future of warfare by suggesting the possible roles of technology in advanced combat. Among those depicted is the cryptic “MASS system,” a neural implant that appears to be useful in augmenting the army’s efficiency (it is implied throughout the episode that MASS helps the soldiers think clearer, see better, perform more effectively, shoot more precisely, hear selectively, and suppress emotions/feelings/senses that are irrelevant to the mission at hand). But later, in the unexpected plot twist with Catarina (shocking, in many ways, because it seems so conceivable), MASS proves to be something else entirely. Still, the possibility of a technology that could use (or, rather, integrate into) our own brains to augment and modify our senses and abilities is mystifying. How far are we from this being a reality? In late 2012, researcher Gregg Tabot and his team (1) “developed approaches to convey sensory information critical for object manipulation—information about contact location, pressure, and timing— through intracortical mic-rostimulation of the somato-sensory cortex.” In other words, in experiments where the brains of nonhuman primates were electrically stimulated, Tabot was able to elicit sensations from projections specifically to a “localized patch of skin”— ones that can not only “track the pressure exerted on the skin” but also the specific “timing of contact events.” This form of biomimetic feedback is projected to be able to help “restore touch to individuals who have lost it.” Other experiments of this nature have used electrical interfaces with peripheral nerves to “convey basic somatosensory feedback” (2). 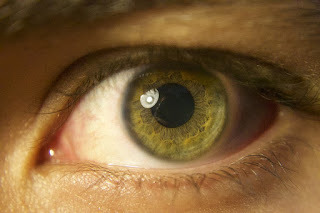 Technology that focuses on restoring eyesight in the blind has been in the works since the early 1970’s (3). Epiretinal devices, ones that bypass retinal processing such as the Argus II Retinal Prosthesis System (4), have been developed and approved to help stimulate the ganglion cells that merge at the back of the eye to form the optic nerve. The difficulty with visual impairment, however, is that it can be caused by numerous different underlying impairments—from the retina, the optic nerve, the lateral geniculate nucleus (LGN), to the striate cortex (V1) itself (among other relevant visual processing areas) (5). 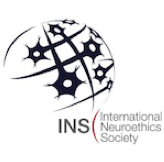 The field of neurobionics attempts to mediate these differences by offering the opportunity for cortically-based implant devices that stimulate these brain areas; and, although current improvements in eyesight with implant recipients is minimal, improvements are happening (5). Cochlear implants (6, 7) and the advancement of cochlear implantation has allowed patients who have lost their hearing after their own development of language to “regain significant auditory benefit.” But, in a small group of individuals whose hearing deficits result from significant damage of the cochlear nerves, cochlear implantation fails to serve as a viable treatment (8). In these patients, an auditory brainstem implant (ABI) allows for the restoration of limited hearing (9), “allowing them to recognize environmental sounds” in addition to amplifying their abilities to communicate effectively (8). It is important to note that the vast majority of these technologies are preliminary, rooted in mostly restoring prior function rather than enhancing normal functioning to super-human levels (as is implied by the MASS technology in Black Mirror). 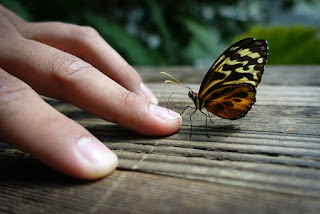 The enhancement of human abilities (namely memory, attention, and learning) is not a foreign concept; in fact, a series of posts on this blog (which can be found here, here, and here) have addressed this topic. I will leave them here with the overarching statement that research on these forms of augmentation is currently being done, although, again, the extent of these modern methods allows for little of the precision and accuracy that is afforded to the devices depicted in Black Mirror. The notion of sensory and moral alleviation highlighted in “Men Against Fire” is, on the surface, necessary. 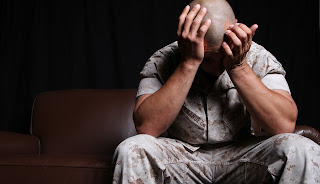 Recent statistics put the number of returning war veterans with PTSD at anywhere from 10% to 18%, citing “combat stressors” such as “seeing dead bodies, being shot at, being attacked, receiving mortar fire, or knowing someone who has been killed” as triggers of the disorder (10). 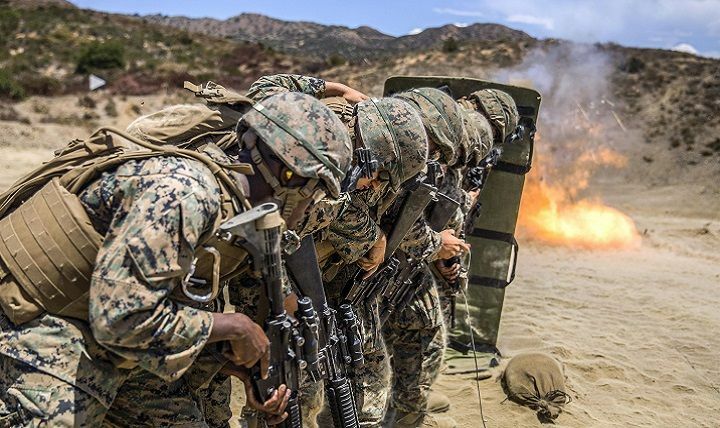 The biggest trigger, though, remains being behind the trigger; men and woman who kill in battle are at a dramatically higher risk of developing PTSD and often display higher levels of trauma than those who have not killed (11, 12). So, what if we could desensitize our army from these triggers altogether? Sounds promising. But is it? A soldier battling PTSD (post-traumatic stress disorder). MASS is, by every definition, a weapon—a device designed or used for inflicting physical damage. 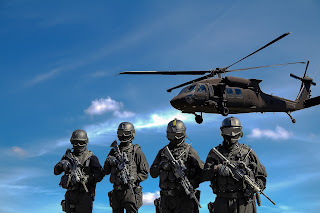 In the eyes of the soldier, MASS strips the humans targeted in this eugenic crusade of their humanness—their voices, their language, their faces. And it does all of this with a purpose—to make killing easier. At the end of the episode, the doctor’s sickening monologue elucidates this purpose: “Humans. You know we give ourselves a bad rap, but we’re generally empathetic as a species. I mean, we don’t actually really want to kill each other. Which is a good thing. Until your future depends on wiping out the enemy… even in World War II, in a firefight, only 15, 20 percent of the men would pull the trigger. 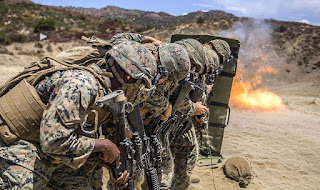 Fate of the world at stake, and only 15 percent open fire… plus the guys who did get a kill, most of them came back messed up in the head.” Lt. Col. Dave Grossman’s book, On Killing, suggests that these numbers aren’t fiction (12). But this is the reality of war—killing and death are inherent in the nature of battle. 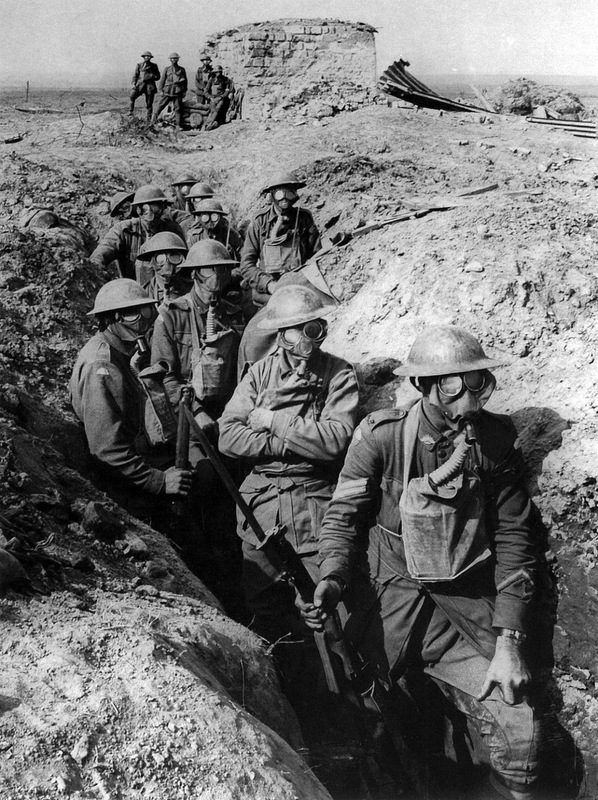 If MASS technology makes killing easier (by removing the smells and sounds of death) and keeps soldiers from feeling the aftermath, is it really that bad? Why wouldn’t we want an army that can fight relentlessly, without morality in the way? The answer lies in our doctor’s soliloquy: we’re human. Image courtesy of the Military Health System. Soldiers are not “naturally born” to pull the trigger for a reason, and neural implants that engineer them to be that way would, at the least (and with the current state of technology), cause a great deal of cognitive dissonance—dissonance that, in ways, could be more disturbing than the trauma otherwise caused by warfare. 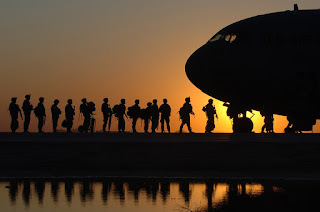 Moral injury in war today could, in part, be a result of this dissonance, where soldiers who engage in “acts of transgression” that grossly undermine moral and ethical expectations suffer from shame, guilt, anxiety, or anger (13). This construct of moral injury can exhibit itself behaviorally, forcing war veterans who have killed in war (among other things) into self-handicapping behaviors, anomie, and self-harm. A real-life example of this unusual dichotomy between morality and death can be found in pilots of remotely piloted aircrafts (RPA), or drones, who are in the fairly unique situation of not physically being situated in the war theater; still, perhaps surprisingly, RPA pilots have been shown to display war-related challenges beyond PTSD, often exhibiting high levels of fatigue and social isolation as a result of the compartmentalization of their work (14). Perhaps the last teardrop on Stripe’s face in “Men Against Fire” points to these elements; even with the functioning MASS implant, a part of him may in fact be cognizant of the false reality of the world around him. So are there other functional consequences of using technology to separate soldiers from the war zones they are otherwise immersed in? Most likely. But would these technologies modulate a soldier’s perception of battle? Of war? Of death? What does putting a device between a human and the environment do to his/her sensitivity to the real world? Perhaps we can answer these questions with regards to our own use of cellular and technologic devices. since this picture was taken during WWII. A whole series of posts on this blog could be dedicated to the misplaced use of DNA technology and “screenings” in “Men Against Fire”—all of which allows for the blatant eugenics of the “roaches.” What is concerning about this argument is the claim that DNA is the direct and only basis for the plethora of disorders the doctor listed—that the environmental contributions to disease are not relevant to the prevalence of the many illnesses we face as a human race. In an paper entitled “Genetic Essentialism: On the Deceptive Determinism of DNA,” authors Ilan Dar-Nimrod and Steven J. Heine argue that “…there are rare cases of ‘strong genetic explanation’ when… responses to genetic attributions may be appropriate, however people tend to over-weigh genetic attributions compared with competing attributions even in cases of ‘weak genetic explanation,’ which are far more common” (15). While Black Mirror primarily serves to entertain audiences, the underlying messages presented in "Men Against Fire" about the potential consequences of futuristic technology cannot be ignored; it is nonetheless important to remain grounded in the current state of these devices, as MASS or any version of it is far from widespread implementation. That said, the conversation about wartime morality and the suppression of it is an important one, as soldiers today, in years past, and in the years to come will continue to suffer from the traumatic consequences of combat-related experiences. Tabot, Gregg A., et al. "Restoring the sense of touch with a prosthetic hand through a brain interface." Proceedings of the National Academy of Sciences 110.45 (2013): 18279-18284. Saal, Hannes P., and Sliman J. Bensmaia. "Biomimetic approaches to bionic touch through a peripheral nerve interface." Neuropsychologia 79 (2015): 344-353. Dobelle, W. H., and M. G. Mladejovsky. "Phosphenes produced by electrical stimulation of human occipital cortex, and their application to the development of a prosthesis for the blind." The Journal of physiology 243.2 (1974): 553-576. Falabella, Paulo, et al. "Argus® II Retinal Prosthesis System." Artificial Vision. Springer International Publishing, 2017. 49-63. Lewis, Philip M., et al. "Restoration of vision in blind individuals using bionic devices: a review with a focus on cortical visual prostheses." Brain research 1595 (2015): 51-73. House, William F. "Cochlear implants." Annals of Otology, Rhinology & Laryngology 85.3_suppl (1976): 3-3. Svirsky, Mario A., et al. "Language development in profoundly deaf children with cochlear implants." Psychological science 11.2 (2000): 153-158. Schwartz, Marc S., et al. "Auditory brainstem implants." Neurotherapeutics 5.1 (2008): 128-136. Hitselberger, William E., et al. "Auditory brain stem implants." Operative Techniques in Neurosurgery 4.1 (2001): 47-52. Hoge, Charles W., et al. "Combat duty in Iraq and Afghanistan, mental health problems, and barriers to care." N engl J med 2004.351 (2004): 13-22. Van Winkle, Elizabeth P., and Martin A. Safer. "Killing versus witnessing in combat trauma and reports of PTSD symptoms and domestic violence." Journal of traumatic stress 24.1 (2011): 107-110. Pitts, Barbara L., et al. "Killing versus witnessing trauma: Implications for the development of PTSD in combat medics." Military Psychology 25.6 (2013): 537. Grossman, Dave. On killing. Open Road Media, 2014. Maguen, Shira, and Brett Litz. "Moral injury in the context of war." Department of Veterans Affairs, www. ptsd. va. gov/professional/pages/moral_injury_at_war. asp (accessed Jan. 13, 2013) (2012). Otto, Jean L., and Bryant J. Webber. "Mental health diagnoses and counseling among pilots of remotely piloted aircraft in the United States Air Force." Medical Surveillance Monthly Report 20.3 (2013): 3-8. Dar-Nimrod, Ilan, and Steven J. Heine. "Genetic essentialism: on the deceptive determinism of DNA." Psychological bulletin 137.5 (2011): 800.